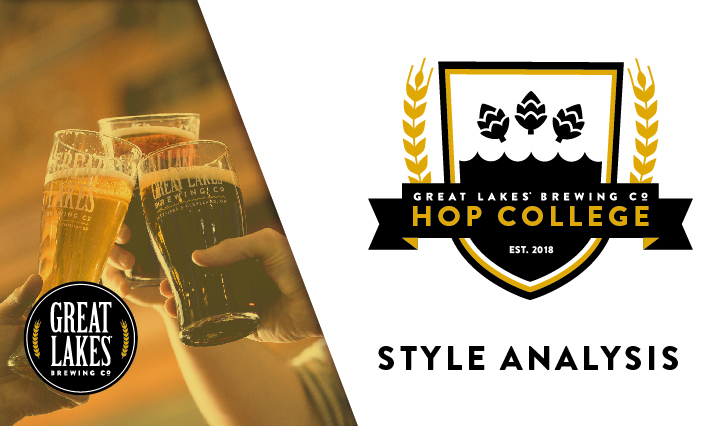 Students who enroll in Hop College: Style Analysis will head to the “classroom” where GLBC Education Representative and Certified Cicerone® Michael Williams will help you tap into a deeper understanding of American IPA with a guided tasting of the style (including newcomer Great Lakes IPA! ), plus a refresher on sensory analysis, a rundown of the history and style guidelines of American IPA, food pairings, and more during this crash course on all things hops. There won’t be any textbooks, but we will have plenty of beer samples and small bites from the brewpub to help enhance your learning. Students who complete this class will leave with a special Hop College branded Teku glass (don’t know what that is? See you at the class! ), and official beer nerd bragging rights. All students enrolled can enjoy 10% off a brewpub food order or gift shop purchase (valid for day of class only). Graduate at the bottom of your glass at Hop College, where our taproom is your classroom! Payment is non-refundable, and event date is non-transferable. Please book your date and time carefully, as refunds will not be awarded. When our Beer Symposium is not available, Beer School may be held in the brewpub’s historic Rockefeller Room or the brewery Tasting Room. Guests without a valid ID at check-in will not receive beer samples. Guests MUST be 21 or older with a valid ID to consume or purchase alcohol. No exceptions! GLBC gift cards cannot be redeemed for Hop College or other events. Only Hop College vouchers may be used.